Plenty of variety here. 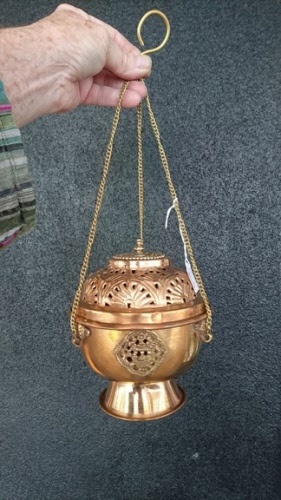 We have Charcoal Burners, Incense Stick Burners, Cone Burners & Tibetan Incense Burners. Take your time and browse through them all. Designs and sizes may vary slightly due to changes in stock. 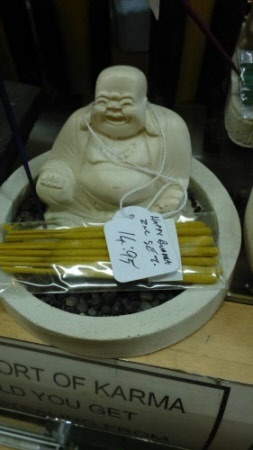 The Buddha on an incense burner, this burner is for stick incense. 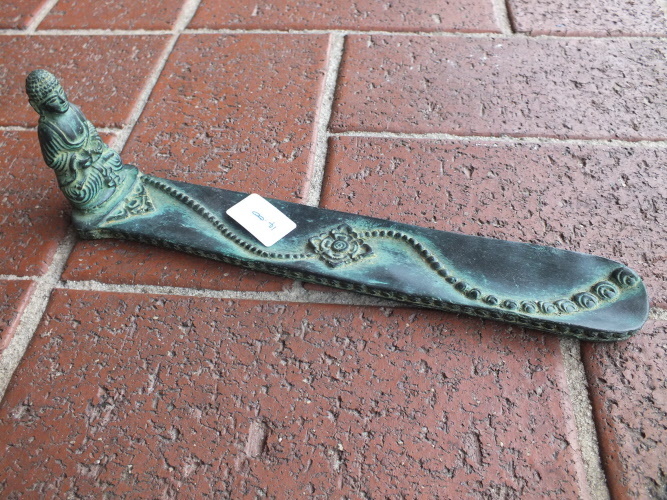 Incense burner as we all know them. 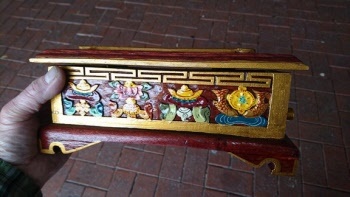 This one has a Buddha and the double Dorje (protection from evil symbol). 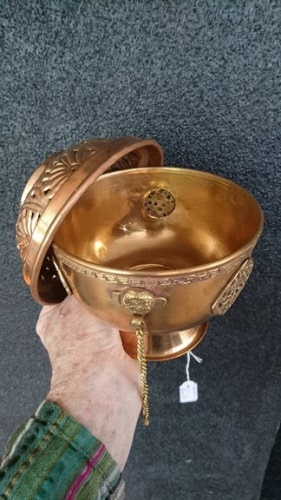 Suitable for burning incense sticks. Hand made in Nepal, a beautiful wood incense burner. 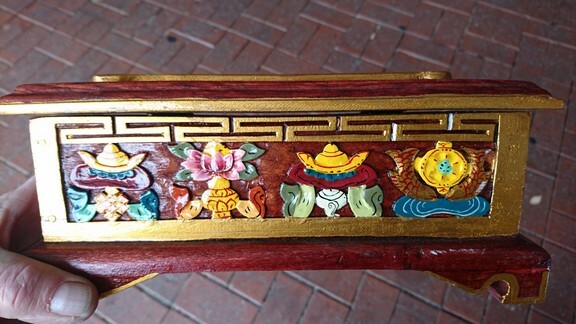 Has the Tibetan Buddhist eight lucky symbols carved into the front. 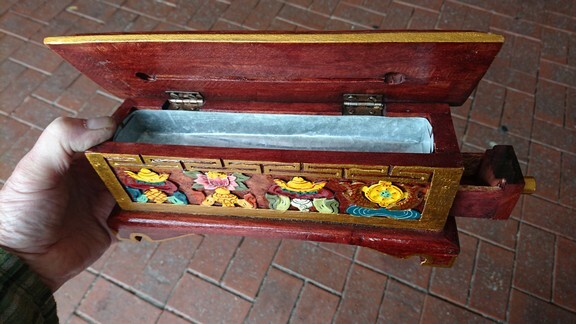 Just sprinkle some sand or soil into the metal tray inside, light your incense and lay on top. The smoke will rise through the hole in top of the incense burner. You can also store your inside in the slide out drawer underneath. 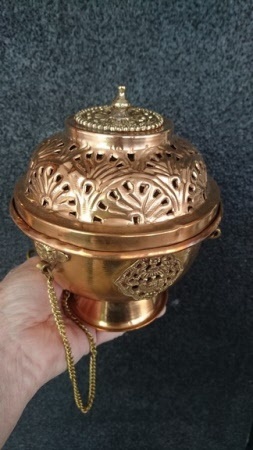 Fantastic Incense burner as used in Temples across the world. 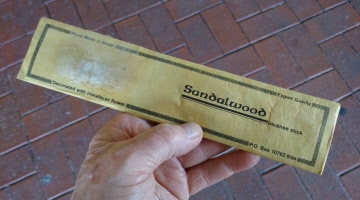 Have this little bit of Temple in your own home or workplace. 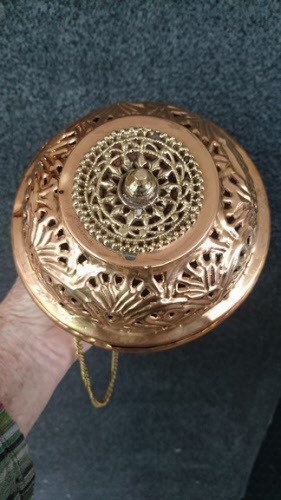 Just light your incense cones or resin/powder incense and place the lid on top and hang where you like. Colours and design may vary due to changes in stock. 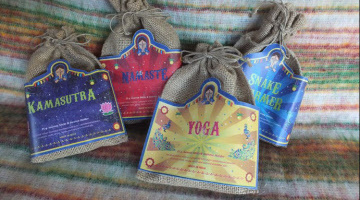 incense cones from around the world, some packages come with free burners. Choose your selection. 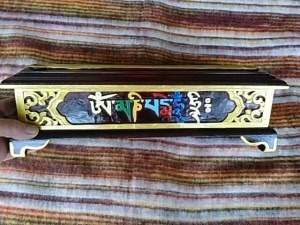 Hand made in Nepal and beautifully painted Double Dorje (protection from evil) design. Can burn four incense sticks at a time. 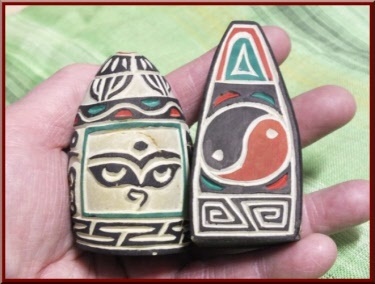 These are Mani Stones with different designs and a mantra carved on each one. For more information on Mani Stones (sacred stones) visit our Mani Stones page on the menu at left. 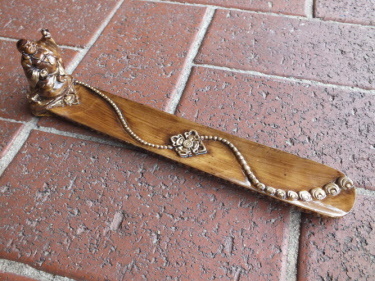 Another great incense burner from Nepal. Hand made and painted, has two different size holes so can be used for your regular incense brands or the thicker Tibetan incense. 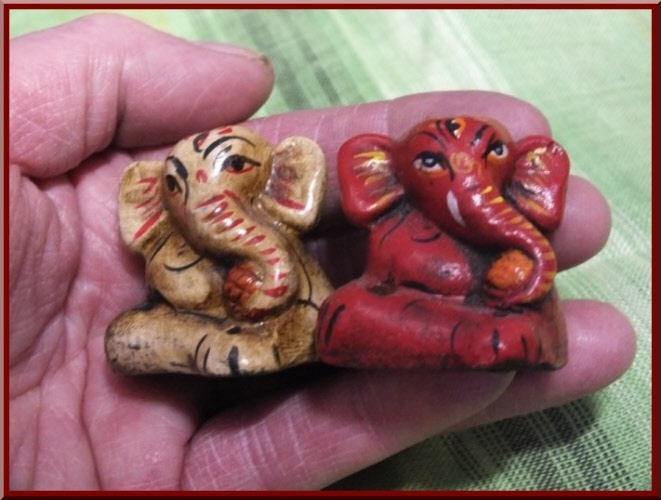 Ganesh / Hindu God of wisdom and learning, also remover of obstacles. For more information on Ganesh, visit our Ganesh page. 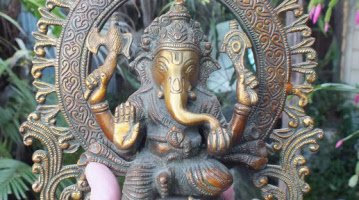 Ganesh, masks, extra large and small, also many brass,bronze and resin statues to choose from with some Ganesh wall plaques as well. 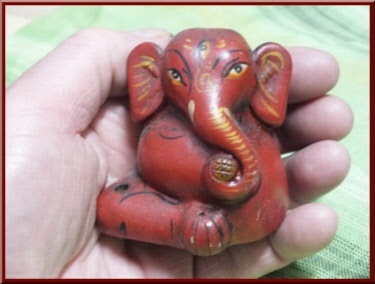 Little Ganesh incense burner, can also be used as statue / ornament. 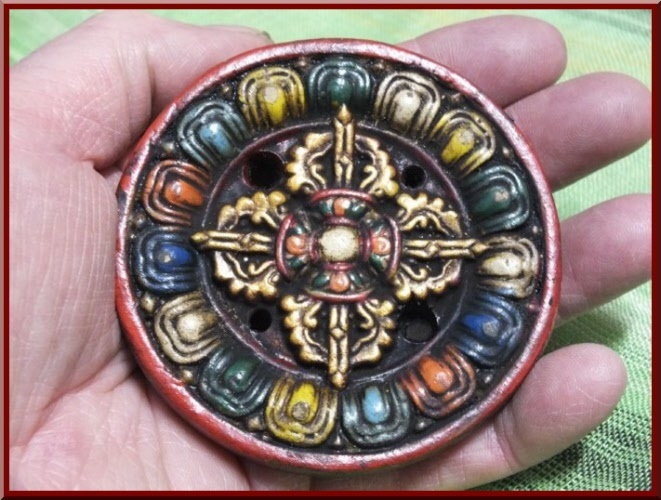 Has two holes of different sizes can burn both your regular incense brands or the thicker Tibetan incense sticks. 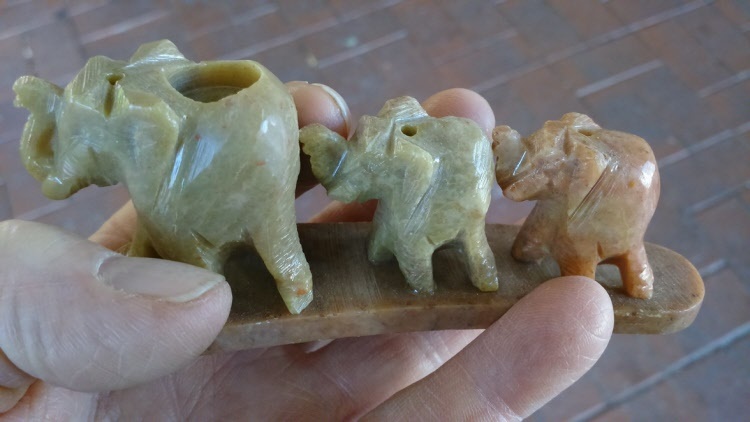 Hand carved in India this stone elephants incense burner is ideal for the elephant lover or if you just want to burn eight incense sticks at a time. You can also burn a tea lite candle in the centre if you wish. 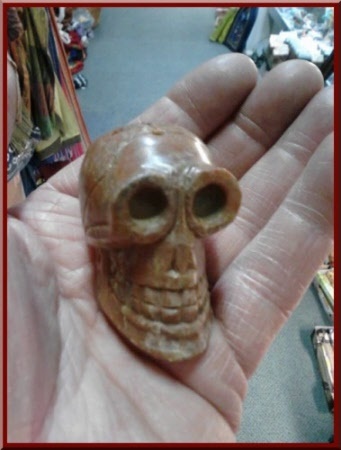 An unusual incense burner, this skull incense burner has been hand carved from soapstone. 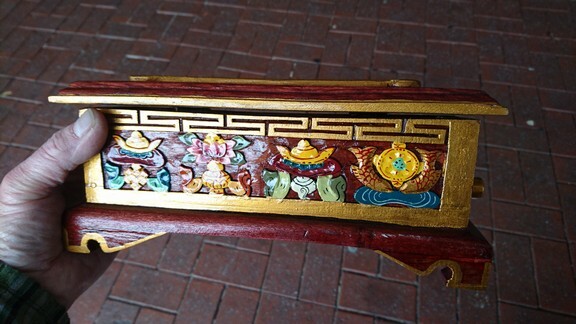 There are five holes where you can put your incense in the top. This burner is suitable for incense with a stick. Little Buddha incense burner carved from stone. 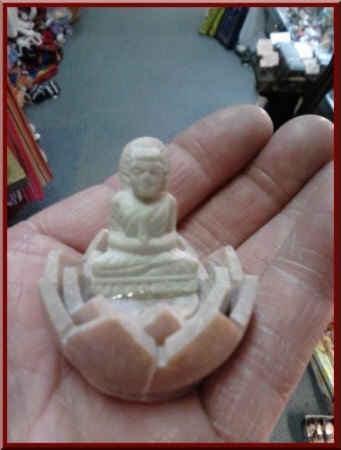 Buddha sits in a lotus flower / see photo. Hand carved in India from soapstone. 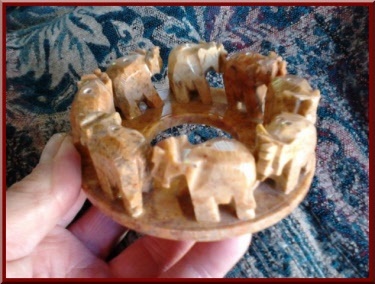 You can burn incense cones in the first elephant or sticks in the holes provided. Altogether three holes for stick and one for cones. 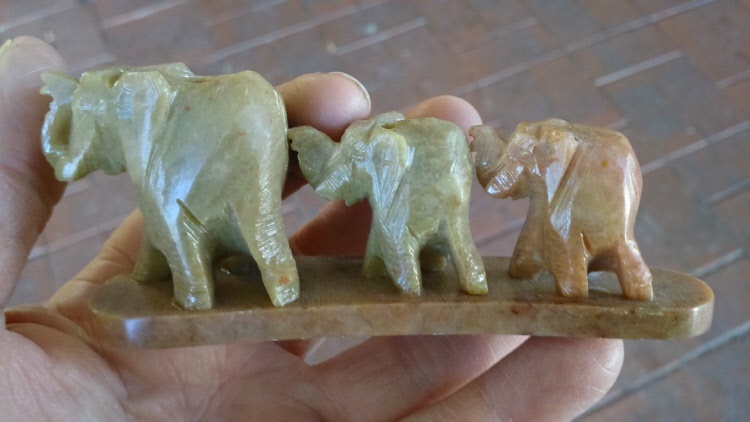 Made in India from resin stone. 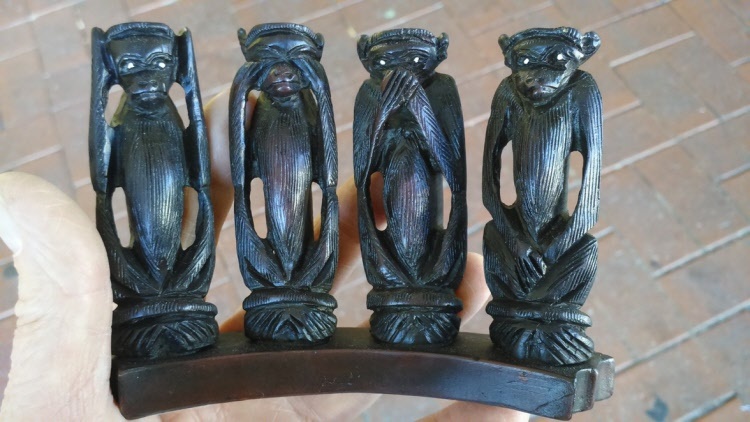 Yes you remember the three wise monkeys? Now there is another one added "Do no evil"
You can use as an incense burner, there are holes in top of their heads to put your incense sticks. This Happy Buddha Incense burner comes complete with incense and small stones to put in the round dish. An ideal gift idea, already wrapped in clear celophane. 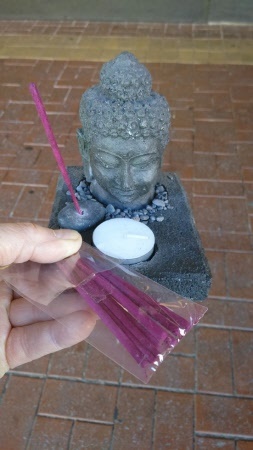 Beautiful gift, this Buddha Head Incense Set comes with Stand / Incense / Stones / Tea Light Candle And Buddha Head Statue. See photo for all the details. Made from solid resin stone. Create a beautiful ambiance in your home.